Lottery Critic is your ultimate guide to online lottery. Run by a team of longtime lottery nerds, Lottery Critic is here to help you find the best lottery websites, learn more about lotteries, and make the most of your tickets. We get it: Online lotteries can be scary or confusing — especially for new players. So let us walk you through it. We’ll bring you the latest draw results, in-depth lottery website reviews, and articles that can take you from newbie to expert. Everybody at Lottery Critic has been passionate about lottery for years. We’ve played different games with prizes big and small. We’ve bought tickets from our neighborhood store, waited for draw results, and calculated our odds of winning. We’ve even chalked up some wins. Are you interested in online lotteries? That’s what your future could look like, too. But here at Lottery Critic, we’re not just ticket-buyers. We take lottery seriously. From basic lotto strategies to the stories behind lottery’s most remarkable players, we’ve been building up our lotto expertise over the years. Our team has busted lotto’s biggest myths, poked holes in the most common scams, and even mapped out the best steps any lottery winner should take if they want to make the most of their jackpot. Simply put: We know our stuff. We’re here to make sure that you do, too. Their fees. But they have to make money somehow! Accessible from as many countries as possible. We try to be as accurate and thorough as possible. We sign up for these sites, play the games, and even take their customer support options for a spin. We factor in public feedback from other players, too. That way, we can give you a comprehensive look at each lottery website. Everyone on our team has years of lotto-playing experience under our belts. Over time, we’ve honed our sense of what makes a lottery website great. We’ve listed our ranking factors below so you can see how we figure out scores for each review! What lotteries can you play? What type of lottery site is it? How does it handle tickets? Will you enjoy playing here? There are tons of lottery games out there, and the beauty of online lottery is that you aren’t restricted by location. Lottery websites have a bit more freedom than sidewalk operators to expand their game selection. In theory, you could play almost any lottery in the world. Of course, you won’t find a lottery website that actually offers all the lotteries ever. But we appreciate sites that try. When you have a variety of games at your fingertips, you have more room to find games that tickle your fancy. We don’t just mean quantity of games here, though. A good mix of popular and less well-known lotteries, or an array of both national and international games, counts for a lot. 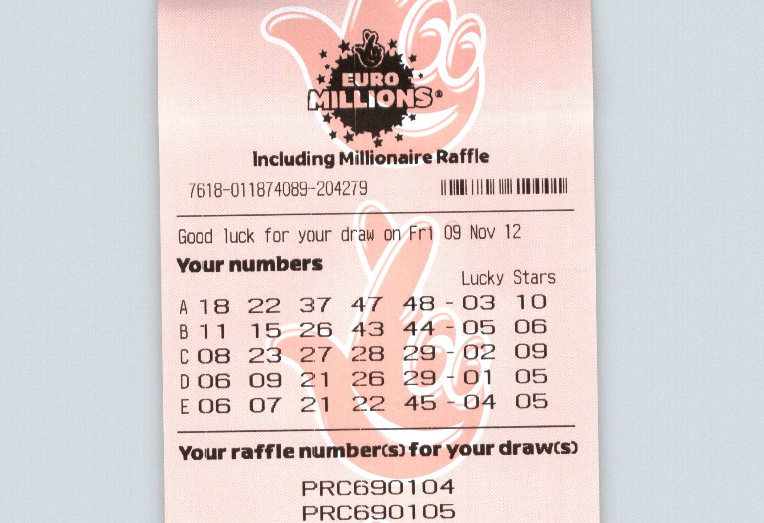 Are there lottery syndicate options, or even other games like virtual scratch cards? If a lottery website has a relatively small selection but a good range of games, for example, then we’ll still give it a favorable score. Before anything else, an online lottery website must be reliable. Or as the kids would say: it has to be legit. You’re putting real money into your account, after all. Plus, you’re trusting that the website will keep its word and pay out if you win! Yes, we comb through a website’s Terms and Conditions (TOC) so you don’t have to! A lottery website’s overall reliability depends on what information it makes available. If any important information is hard to find, or if any promises seem too good to be true, that’s a red flag. When that happens, we put the site under even closer scrutiny. Security is closely linked with a site’s trustworthiness. Repeat after us: You need to be able to trust a lottery website with your money! A lottery website might not be a scam, but if it sends your credit card details over an unsecure connection, it leaves you vulnerable to fraud and theft anyway. That’s why we check for strong encryption, first thing. If a lottery website uses 256-bit SSL encryption, then it’s taken the first step to keep you safe. Other certifications earn plus points in this department, too. PCI compliance, for example, means the site meets strict international security standards for handling credit and debit cards. If a lottery website has a certification like that, it’s another important bit of reassurance before you hand over your financial details. This isn’t a criteria per se — more like an important point that we highlight in all reviews. Generally, we favor lottery agents. Why? We think it’s better to be an official participant for lottery games, especially if you plan on hitting a multi-million jackpot. (And who doesn’t?) If you win, you know there’s a legit lotto operator on the other end that will be paying out your winnings. By contrast, many lotto betting sites bank on insurance. They insure their business for the same amount as the lottery prize, and when somebody hits the jackpot, their winnings come from the lotto betting site’s insurance claim. Other sites also take out tickets for the actual draws; in these cases, your winnings will come from the lotto operator itself. Of course, Lottery Critic doesn’t automatically rule out lotto betting sites. Instead, we check if they have good licenses from gambling commissions or similar credentials, plus good payout records and secure systems in place to ensure that players get their winnings. This applies only for lottery agents, but it’s an important question. Some lottery agents will send you scanned copies of your ticket as proof of ownership. Lottery Critic gives plus points for this, since it’s another layer of reassurance that you’ll get any rewards you manage to score. Ticket scans aren’t a strict requirement, though. Some lottery agents don’t give you ticket scans, but they do send other documents like official receipts instead. Others won’t give you anything at all. In these cases, we pay extra attention to their prize claiming policies and payout records. Many lottery agents charge handling fees — after all, they are going out and buying tickets for you. This means you can usually expect to pay a bit more than sticker price for your lottery tickets. My job is to check each lottery agent’s prices and let you know if they’re charging you reasonably. Some lottery agents don’t charge handling fees, but they make up for it in other ways, like taking a cut from your winnings. It’s good to remember that these agents are providing you a service, so there will always be a fee of some kind. I’ll give as much information as possible about these, but it’s up to you to decide what kind of fees you’d prefer: service charges, commissions, etc. Lotto betting sites tend to have a slight edge in this department. Since they don’t actually buy tickets for you, there’s less fuss in their operations — and less reason for them to charge extra fees. Count on most lottery sites to accept standard online payment methods like Visa, MasterCard, Discover, Skrill, and PayPal. To get full points from Lottery Critic, though, a lottery website has to offer a good spread of payment options. Why? More accepted payment methods means more accessibility for players from all over the world. Sure, most people might have a credit or debit card available. But if they’d prefer to use another option, that should be possible. Not everyone has PayPal, for example, while others would prefer to use cryptocurrency like Bitcoin. More options mean fewer people have to bend over backwards to play. We also let you know if a lottery website has automatic subscriptions. Nobody wants a surprise deduction from their account! When it comes to users claiming prizes, lottery websites usually have a system in place. For small prizes (typically up to a few thousand dollars), amounts tend to get credited to your account automatically. Larger prizes, especially jackpots, often involve a bit more work. Sometimes that means you’ll need to claim the prize in person. At some lottery websites, you’ll need to submit proof of identity before you get a payout. Still other lottery sites can claim the prize on your behalf and credit it to your account. Not everybody can fly to a different country to claim a prize, so the more convenient the system, the higher a lottery site’s rating in my book. As much as possible, we also check a site’s payout record. A system can look good on paper, but that’s not worth much if nobody’s actually managed to claim their winnings yet. From sign-up to actual play, a lottery website has to be a joy to use. Or, at the very least, it has to load fast, give you useful information, and be easy to browse. Oh, and you shouldn’t be bombarded with ads, either. We approach lottery sites with the idea that they have a global player base. That’s why we look for multiple language options when checking out a website’s design. These options mean better accessibility for people from different parts of the globe, and the more language options a website has, the better. Sites earn bonus points for providing resources that can help beginners, too. Nobody starts out as a lottery expert, and it’s great when a lottery site remembers that they have newbies in their audience. A quick and simple registration process also earns a lot of points. Buying a lottery ticket in person can often be as simple as stopping by your nearest deli and handing over some cash. It should be just as uncomplicated when you play lottery online. 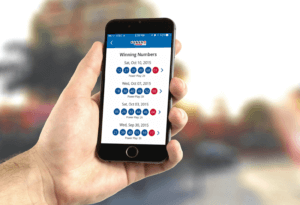 A dedicated mobile app allows you to take the full lottery experience with you on the go! A dedicated mobile app is still the best way to get the most out of an online lottery’s features when you are on the go, but a mobile-optimized site usually works just fine. It’s definitely better than nothing, after all. So, for those that don’t offer any mobile solution of any kind, expect us to dock some points off the final tally. A dedicated mobile app lets you take the full lottery experience with you! No lottery site will ever be perfect – that’s pretty much a given. Here at Lottery Critic, we don’t expect the sites we review to be flawless. But that doesn’t mean you have to endure scams, endless pop-ups, or a terrible playing experience. We’re dedicated to helping you enjoy lottery games online. Our strict standards ensure that every positive review points you to a website that’s secure, reliable, and easy to use. So what are you waiting for? Check out our top picks today! Hi Lindsay, we haven’t reviewed Giant Lottos yet, but it’s on the docket. Keep an eye out for our in-depth review!